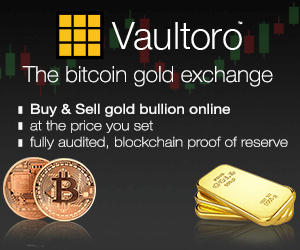 This Swiss based BTC-Gold trading exchange is one of the best discoveries I have made in recent times. Check out their site, you'll be impressed. And if you're not in BTC and/or in Gold, it's high time to do so !